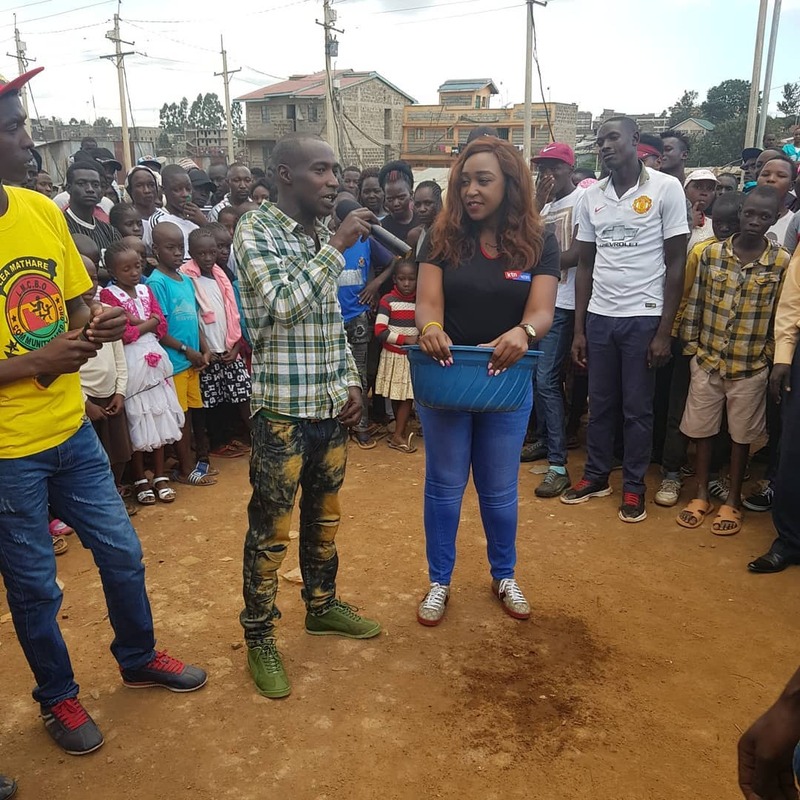 Last Sunday Betty Kyallo and Ghetto radio presenter Bonoko visited Mathare slums. The two spent time with kids at Lea Childrens home where they had gone to give some donations. “The Mathare based Lea children’s home visit was really nice, met some talented underprivileged kids who’ll youll soon see in a tv near you I have to commend Bonokos Masafara Foundation for the great work he is doing. We donated books for the kids and we promised to finish the community school whose construction has stalled,” wrote Betty Kyallo after the visit. Bonoko took Betty to a hustlers’ restaurant in Ngara after the visit at Lea Children’s home. The KTN anchor revealed she ate chapati beans and a KDF and tea. “Then after Bonoko took me for late lunch at his favourite spot in the heart of Ngara. Its called the hustlers joint. Ate some chapo beans, a kdf and tea. Noma sana… Wacha tu. ,” wrote Betty. Netizens were awestruck by Betty’s revelation, some didn’t believe a word she said, other ridiculed her while other simply warned her she would have serious stomach upset. makavelian6: combination utachizi…lunch plus breko kabisa haha. paulmkenya: hahahaha.. aty betty leo umekula chapati choma…! hope uliiombea walai.. tunakuaga tumepika na mafuta ya transfomer!!! omondirich: Tumbo itakukoroga…! Wacha tu. Utahara u miss Friday briefing! 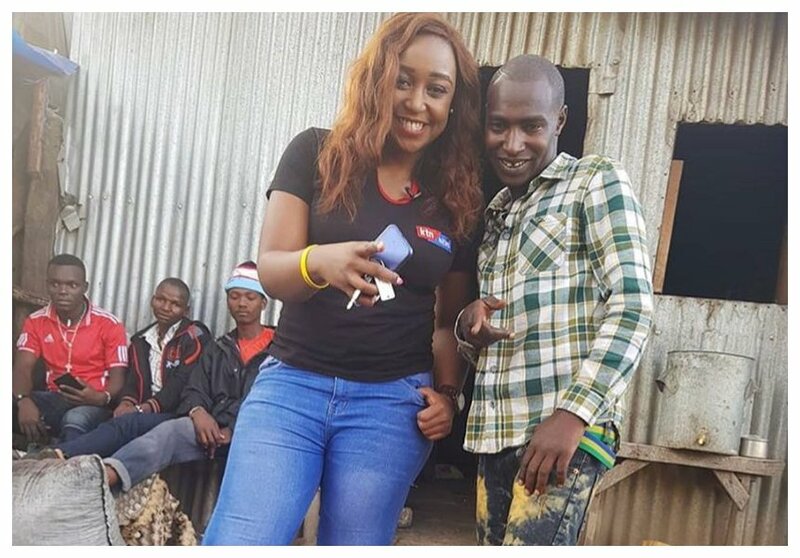 christine.oduor: Lakini @bettymuteikyallo chapo ndondo na kdf?? Hiyo ni food ya 5 days! Good stuff!